Manufactured for use on Allen Bradley DeviceNet systems, the ‘thick’ cable construction consist a power and data pair for backbone wiring. A few type of sheathing as an options are available for different installation environments. These cables are also known as DeviceNet Trunk cables. Power Pair: Tinned copper conductors 15AWG (1,5mm2 approx), PVC insulation, aluminium foil screen. Data Pair: Tinned copper conductors 18AWG (0,75mm2 approx), foamed PE insulation, aluminium foil screen. 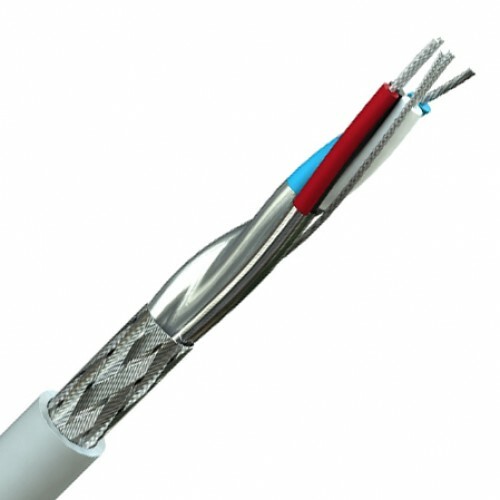 Lay-Up: Pairs laid up with a common 18AWG (0,75mm2 approx) tinned copper drain wire, overall tinned copper wire braid – 65% coverage, PVC or CPE sheath. Power Pair: Tinned copper conductors 15AWG (1,5mm2 approx), PE insulation, aluminium foil screen. 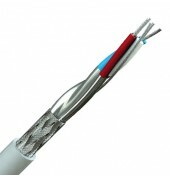 Lay-Up: Pairs laid up with a common 18AWG (0,75mm2 approx) tinned copper drain wire, overall tinned copper wire braid – 65% coverage, PUR sheath.